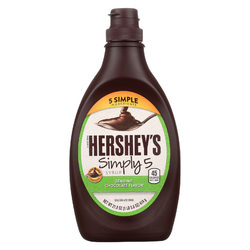 HERSHEY’S SIMPLY 5 CHOCOLATE SYRUP USES ONLY FIVE INGREDIENTS. ENJOY GENUINE CHOCOLATE FLAVOR IN AN EASY-TO-POUR SYRUP WITH ZERO CALORIES PER SERVING. THIS DELICIOUS, GLUTEN-FREE SYRUP IS GREAT FOR ICE CREAM, MILK OR ON ANY OTHER DESSERT. HERSHEY'S CHOCOLATE SYRUP IS A SUMMERTIME MUST HAVE. 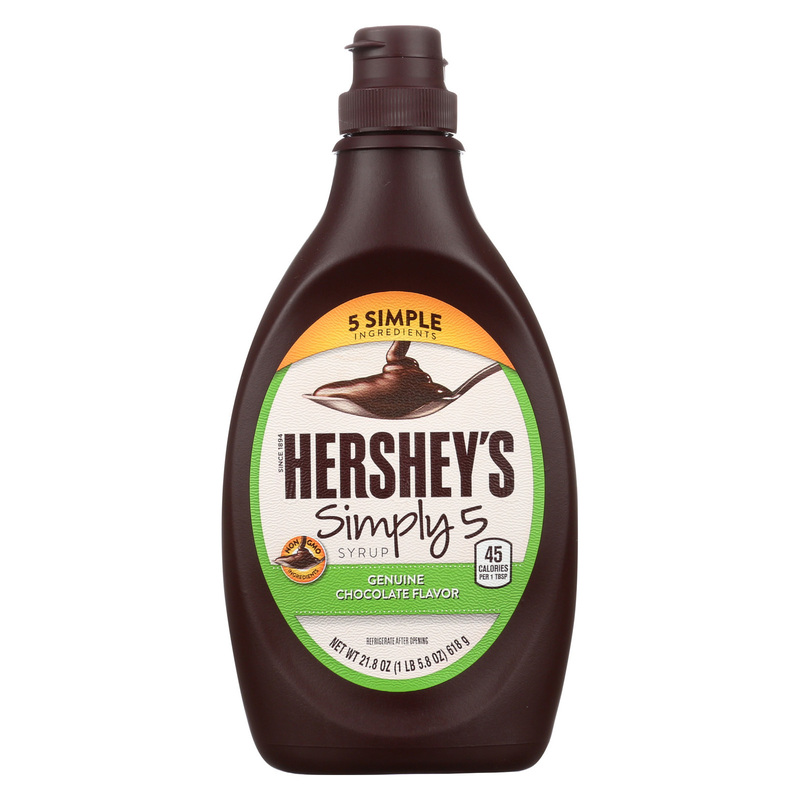 FROM ICE CREAM SUNDAES TO CHOCOLATE MILK, CHOCOLATE COVERED FRUIT TO DESSERT DELICACIES, HERSHEY'S SIMPLY 5 SYRUP IS A PERFECT WAY TO MAKE A DELIGHTFULLY COMPLICATED DESSERT WITHOUT ALL THE COMPLICATED INGREDIENTS! EACH BOTTLE OF HERSHEY’S SIMPLY 5 CHOCOLATE SYRUP CONTAINS 21.8 OZ. OF PRODUCT.